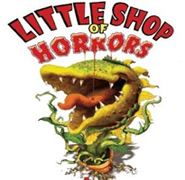 For those who have not seen the movie (which ends differently than the Broadway play), here is a brief recap: A young man and a young woman are working in a small, struggling flower shop in New York City when they are confronted with the possible closure of the shop. The young man (who happens to have a crush on the young woman) finds a strange plant and shows it to the young lady who, in turn, suggests to the owner that he display the plant in the shop to possibly attract new customers. The strange plant does attract new customers but must be fed. The young man discovers that the only thing that the plant seems to wants to eat is human blood. So, to keep the enterprise going, the young man keeps providing more and more blood to the plant which, by the way, happens to talk. Unfortunately, the more he feeds the plant, the more the plant grows and demands more and more blood – its’ appetite soon becomes insatiable. As the plant grows, so does the young man’s notoriety. However, the young man does not have enough of his own blood to feed the plant. The plant demands more blood in return for more fame and fortune for the young man (which he desperately wants in order to woo the young lady). The young man provides the dead body of the young lady’s love interest per the plant’s demand. The owner of the flower shop sees the young man feed the plant with the dead body and blackmails the young man. The plant then eats the owner of the flower shop. All the while, the young man’s fame and fortune continue to grow. The young man finally realizes things are starting to get out of control and that he can no longer control the plant and decides that the plant is more than he can handle. In fact, he realizes that the plant is really a space alien and that the alien plans to take over the world. The plant has baby plants. The light comes on in the young man’s head, but the young man has no idea how to get rid of this out of control plant. The young man is conflicted because the more that he hangs around it, the more he realizes that he is addicted to the fame that it brings him. In an act of desperation, the young man decides to abandon the plant to allow it to starve to death. The plant gets wise to the young man’s scheme and coaxes the young woman to the shop to eat her. The young man comes back in time to save the young woman from the plant. There are two possible endings to the story: The original ending had the young woman dying and being eaten by the plant and the plant turns on the young man and eats him too. The plant and its baby plants grow into an army and eventually take over the entire country. The movie had a lighter ending where the young man heroically saves the young lady and kills the plant.